While contemplating my next DIY Christmas tree ornaments post I had an idea, I’m not only going to make ornaments for the tree but also for the dog! This dog is huge. Plenty big enough to sport a personalized name ornament. He will be wearing his ornament on Christmas Day. 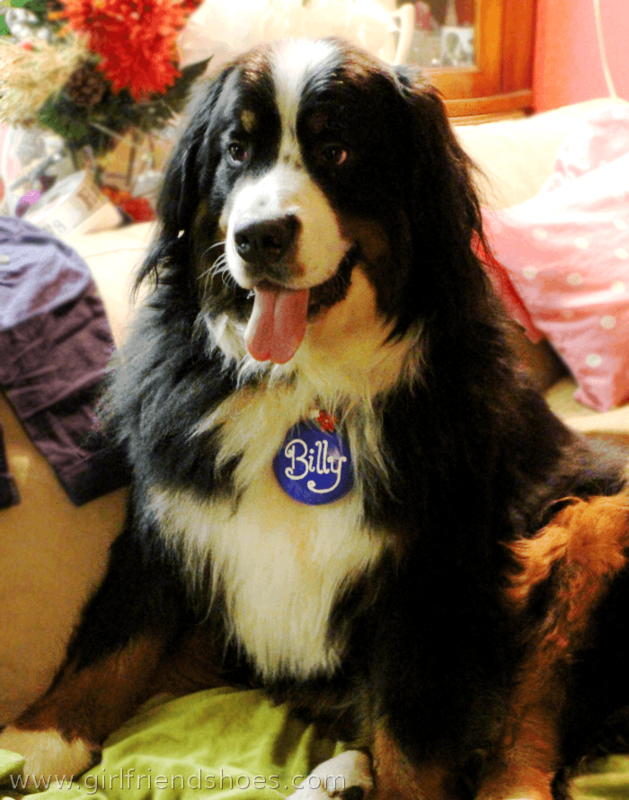 Not because he needs a name tag but because he’s festive and it’s adorable. 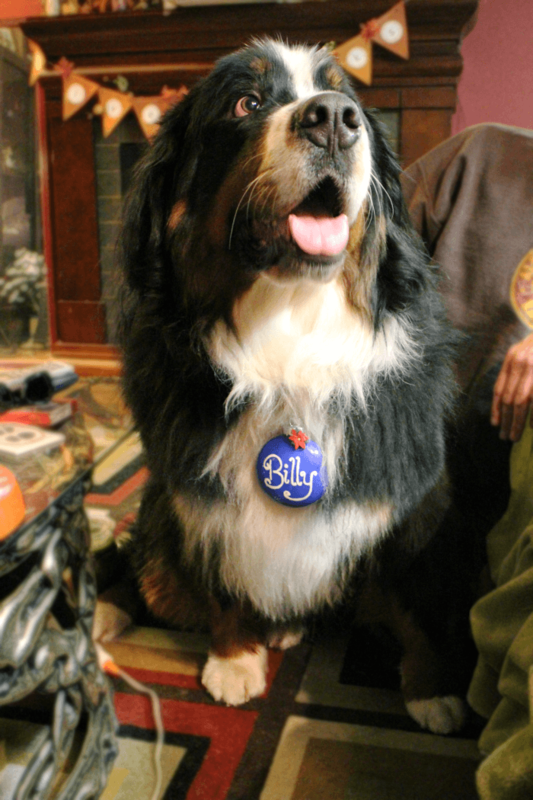 In case you missed it, his name is Billy. When he gets sick of wearing his ornament he can place it on the tree. Fill the ornament with your chosen color of acrylic paint and move the ornament around to make sure it covers the whole inside of the ornament. Turn the ornament upside down so that the excess paint can drip out and it can dry. Once dry put the cap back on the ornament and glue gun it in place to keep it secure. 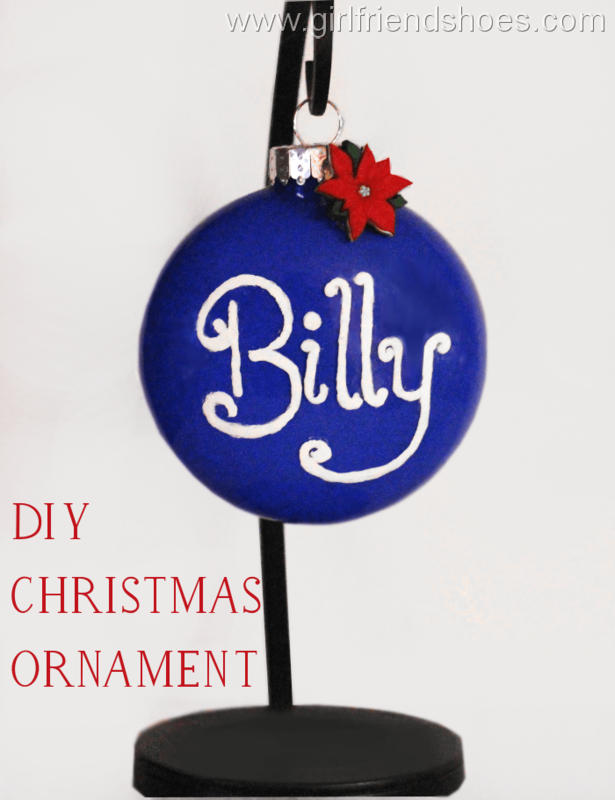 Use your paint pen to write the name on your ornament. If you make a mistake it’s ok, it’s easy to scrape off gently with a kitchen utensil or exacto. Lastly, glue on your embellishment. Use a clear acrylic sealer if you are worried about the paint pen�wearing or coming off. 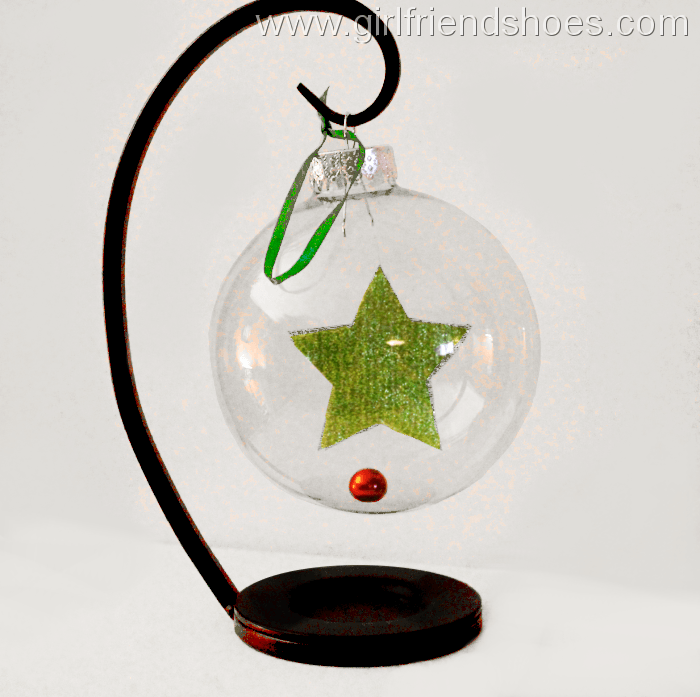 This ornament I like because the star is suspended inside a glass globe ornament. I used ribbon for the star and a red colored bead and hung it with clear fishing line. I cut two sides of the star to glue the fishing wire inside of it so that you can’t see it. Because it’s ribbon and easily manipulated it was easy to put inside the ornament, I just squished it in half and it popped back into shape once through the opening. A friend asked me how I got the star inside but I’m pretty sure he was just humoring me. I don’t think the dog will want to wear this but it’s still cute. I think a set of these with different colored stars would be cute, maybe even suspended snowflakes for a set. Do you make your own ornaments? Making my own Christmas tree ornaments is a hobby�I thoroughly enjoy.